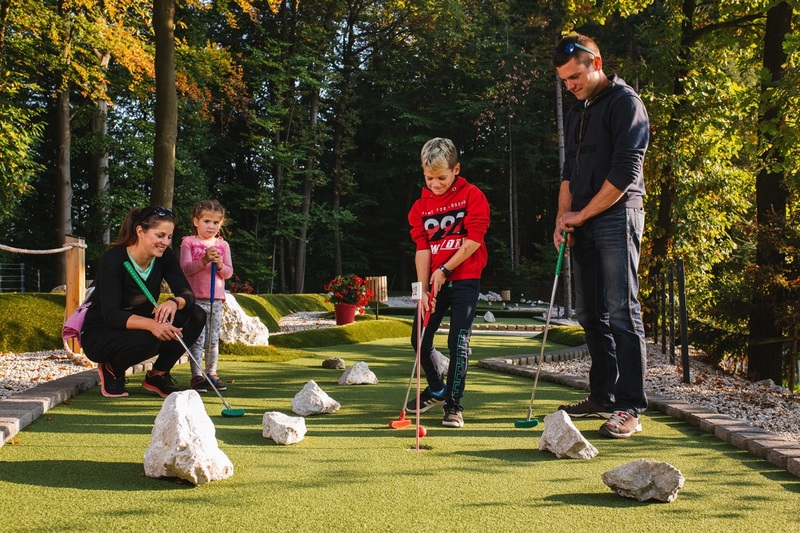 Adventure Mini Golf Panorama is a successful combination of nature, the environment, sport and adventure. Practically in the forest you can experience the wonderful experience of playing on the grass, which is very close to natural. 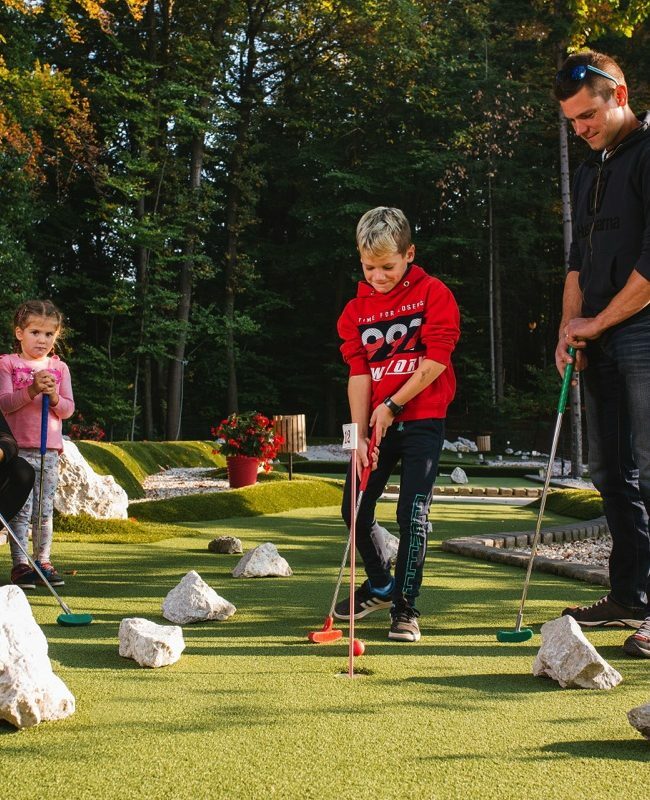 Forget everything you know about mini golf – Adventure Mini Golf Panorama is different! You can enjoy drinking your favourite drink in a bar with wonderful views of the mountains in the distance – including Triglav. In the cozy ambience of wood you can refresh yourself with juice or beer, revive yourself with a cup of coffee, enjoy a delicious sandwich … Children will naturally prefer ice cream. All 12 holes are visible from the cafe, so you can enjoy your coffee while your kids play mini golf.